Croatia has reached the World Cup final! It is not coming home! England crashed out of the World Cup semifinals after a 2-1 defeat at the hands of Croatia. It was Mario Mandzukic who scored the winner in extra time for Croatia to fix a final game against France on Sunday. England will have to be satisfied with a third place playoff against Belgium. The Three Lions had the best of starts when Kieran Trippier smashed home a free-kick in the fifth minute. England were on top in the first half as Croatia could not find their footing in the game. But the second half presented a different story with Croatia dominating the ball and pinning England back. Ivan Perisic scored a karate kick equalizer which took the game to extra time. 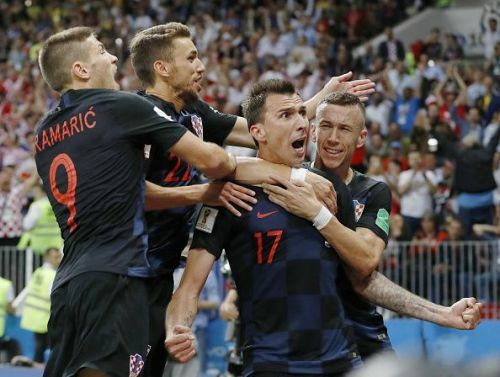 Mario Mandzukic then got at the end of a hopeful Perisic header and scored in-arguably the most significant goal in Croatian history. There wasn't much steam left in England to muster a comeback as the dream of winning the coveted title fell short at the penultimate hurdle. On that note, let us analyze this game in further detail and dissect the five major talking points that emerged from Croatia's 2-1 win over England. All Gareth Southgate would have hoped for was a dream start to the semifinals and he certainly received that through a dead ball piece of art from The Bury Beckham. 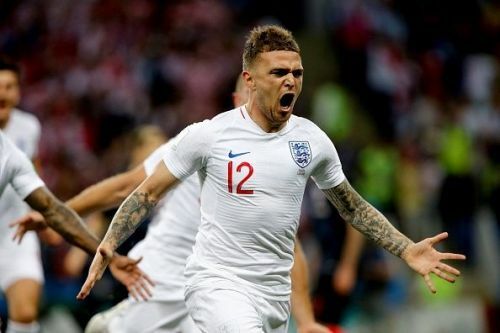 Kieran Trippier has been one of England's best players this World Cup so far and the goal against Croatia was surely the cherry on top. England scored nine goals from set pieces this World Cup and the majority of them had Trippier as the driving force. Apart from the goal, the Spurs fullback was bossing the right flank and the had the most touches (38) and most interceptions (3) in the first half. Southgate's side looked sharp right from the start, and it was their crisp passing and movement that had restricted Croatia's creativity in the first half. England had quite a few decent chances to double their lead in the first 45 minutes but failed to do so, this invariably led to their downfall in the end.